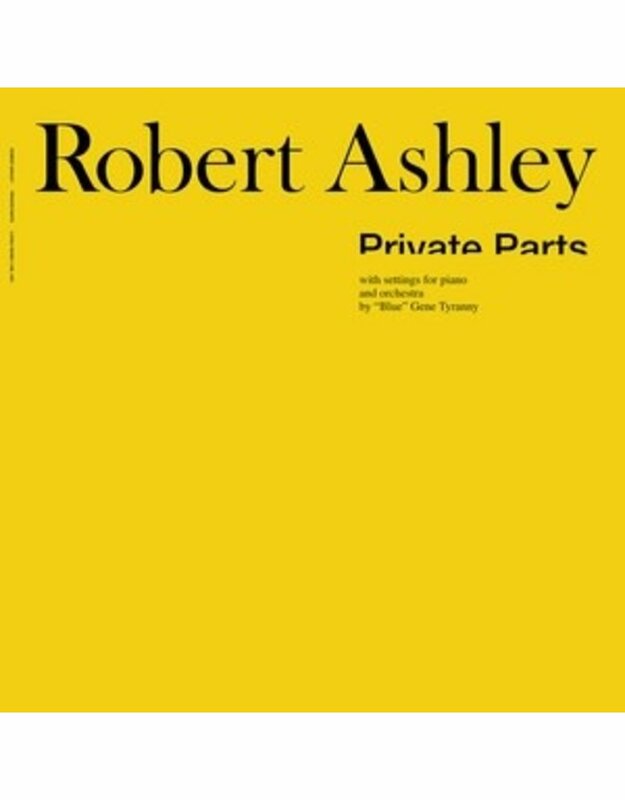 Lovely Music presents a reissue of Robert Ashley's Private Parts, originally issued in 1978. This newly mastered LP release is a must-have for aficionados as well as a perfect introductory work to Ashley's oeuvre. Among Lovely Music's first six releases, it came to be known as "the yellow record". No one had ever heard anything like it; Ashley presented an unvarnished exposition of the inner workings of a man's mind. And on the other side, those of a woman. 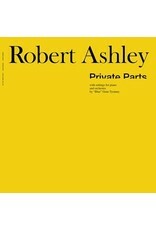 These two episodes were the foundation for Ashley's seven-part opera, Perfect Lives, which was performed by his ensemble throughout the 1980s and was completed for television broadcast by Britain's Channel Four. New arrangements of Perfect Lives, notably Varispeed's site-specific version, continue to intrigue and enchant. Recorded at the Center for Contemporary Music, Mills College, Oakland, California, July 1977, produced by Ashley. Personnel: Robert Ashley - voice; "Blue" Gene Tyranny - keyboards; Kris - tablas. 180 gram vinyl, Stoughton Old Style sleeve, includes libretto.